In Australian media sector news this week, Anytime Fitness launches a media division, MCN expands its youth and children’s reach in television and Bauer Media announces a new home and lifestyle magazine title. 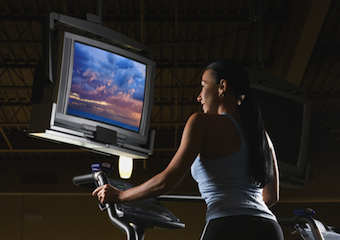 Health club Anytime Fitness is branching into paid media with the launch of Anytime Vision, offering advertisers access to a network of digital screens, branded in-club activations and a digital magazine. Advertisers on board so far include Asics, AIA Vitality, Garmin, Musashi, Flush Fitness, Mr Pink, Vitaco and Bounce Foods. Odysseus Media, publishers of Men’s Fitness and Shape Magazine, are partnering with Anytime Fitness on the new enterprise. Brands can now target Anytime Fitness’ member base of more than 350,000 across all states and territories of Australia, both metropolitan and regional. Anytime Fitness’ members are 63% male, 37% female, 58% Gen Y and 29% Gen X, with an average age of 32. Multi Channel Network (MCN) has started advertising representation of Viacom International Media Networks (VIMN) and leading youth publishing brand Sound Alliance. The new partnerships bring MCN to now hold Australia’s largest commercial television share of 13 to 24-year-olds (30%) between 6am and midnight and the country’s largest combined online and mobile network. The inclusion of VIMN channels such as MTV, MTV Dance, MTV Music, Nickelodeon and Nick Jr strengthens MCN’s dominance in the youth and children’s markets. Sound Alliance titles include award-winning pop culture site Junkee and Australian community sites inthemix, FasterLouder, Same Same and Mess+Noise. MCN is a joint venture between Foxtel and Fox Sports. It now has a monthly online reach of 8.4 million unique audiences and a monthly mobile audience of 4.7 million. It is now responsible for the advertising interests of 69 television channel brands, 138 websites, 69 optimised mobile sites, 59 apps, four IPTV services and three digital-out-home locations. Bauer Media has announced it will launch a new monthly home and lifestyle magazine in August titled Homes+. The new magazine will capitalise on Australia’s home decorating and renovation trend, responding to research indicating that three out of five people plan to decorate or renovate in the next 12 months. Bauer Media Specialist Division publisher Brendon Hill said Homes+ would fill a gap in the market across print and digital channels, complementing the company’s existing homes titles Belle, Australian House & Garden and Real Living. The company conducted extensive consumer research into the Australian homemaker market including deep product testing and refinement. “Homes+ will resonate with house-proud Australians looking for practical, affordable and doable solutions – it’s a magazine with the right proposition at the right time,” Hill said. Homes+ will be supported by a multi-million-dollar marketing campaign spanning magazines, free-to-air television, digital and in-store activations. Facebook’s increasing scale, particularly on mobile, is allowing it to help advertisers reach millions of people in high-growth countries with fragmented media landscapes. Numbers of Facebook users have reached more than 100 million people in India (84% on mobile), 69 million people in Indonesia (87% on mobile) and 87 million people in Brazil (72% on mobile). Early tests have been positive for Facebook’s ‘missed call’ service, which allows a person to place a ‘missed call’ after seeing an ad on Facebook. In the return call, the person receives unique content such as music or cricket scores alongside a brand message from the advertiser – all without using airtime or data. Other Facebook advertising developments in these high-growth markets include geo-targeting of people by state within India, life-stage targeting similar to that available in the US and UK, and improved measurement in partnership with Nielsen. Nielsen is serving polls to people on phones, providing advertisers with more effective tools to measure brand sentiment, purchase intent and ad recall for the first time on mobile and desktop. The out-of-home advertising industry has posted for the 2014 second quarter a 9% increase in net revenue to $138.6 million, up from $127.1 million for the same period in 2013, according to the Outdoor Media Association (OMA). Also released today: PwC’s forecast segment summaries from its Australian ‘Entertainment and Media Outlook 2014-2018′, which charts performance across the sector as a whole and 11 individual areas including newspapers, interactive games, music, internet, filmed entertainment, consumer magazines and radio.